WHY TRY SUCCESS CHEMISTRY ? We didn't just jump on the bandwagon and hope for the best. We took a look at top supplement providers and thought to ourselves… How can we do better? We found 3 main improvements that we optimized for. Absorption, Purity & Freshness. For Purity, we use a cold press LLE™ extraction process that uses no harsh chemicals. For improved Absorption, we take twice as long to bottle with our 2X™ Grind. For freshness, we make each bottle with our MADE TO ORDER™ process, this means when you place your order your bottle is made and sent. You can smell the freshness. We commend you for wanting to better yourself. Success Chemistry seeks to give you an advantage in your personal body transformation. In orthomolecular medicine, vitamins, minerals, trace elements, amino acids or fatty acids create optimum health helping you avoid various illnesses. Orthomolecular medicine was first developed by Linus Pauling (1901-1995), a double Nobel laureate. Pauling coined the term orthomolecular in 1965 dedicating his life to nutritional healing. Pauling showed that "megadosing" (taking large amounts of vitamins) could prevent many diseases and even cure them. In orthomolecular medicine, very high doses of vitamins are used in order to bring back health. Orthomolecular medicine can be used therapeutically to help treat numerous diseases such as arteriosclerosis (hardening of the arteries) and cancer. You can also use orthomolecular medicine for preventive care. It is an important protection against degeneration in conditions including arthritis and accelerated aging. The aging process is, in general, a result of free radical exposure, frequent or chronic inflammation, and toxic exposures (heavy metals or industrial hydrocarbons). 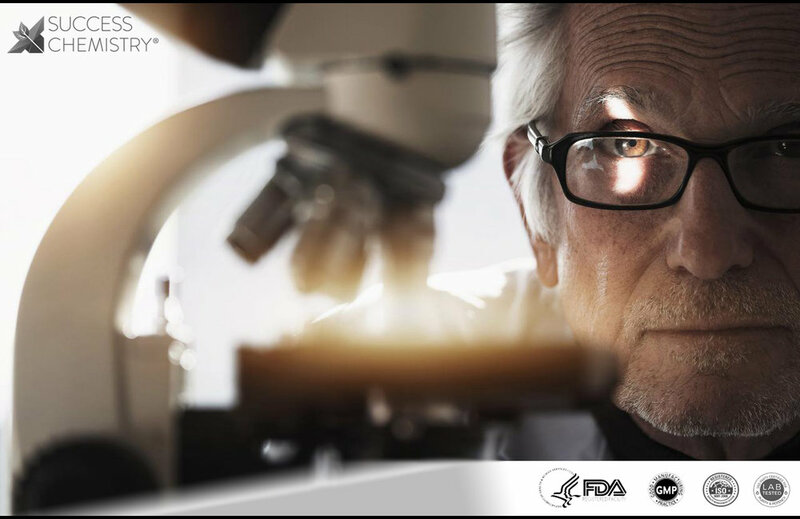 Orthomolecular therapy aims to reverse this procedure and slow down the aging, along with treatment of health problems. When you use orthomolecular products you will undoubtedly feel the difference this functional medicine gives. Made in the great USA. Our organically sourced extracts come from the purest of ingredients selected from the clinical trials show to create optimal results. We are 3rd party tested, this assures no heavy metals, pesticides, toxins, preservatives or artificial ingredients are detected. All success chemistry supplements are made in our GMP & FDA-compliant facility. Are you feeling short of breath? Do you live in a big city? Your lungs are an important part of your everyday living. They help your body do one of the most important functions… breath! The air you breath brings forth life. They work consistently to make this possible while flushing out many of the worlds toxins like smog, cigarette smoke, second-hand smoke, haze pesticides etc. This is why you must take good care of your lungs. 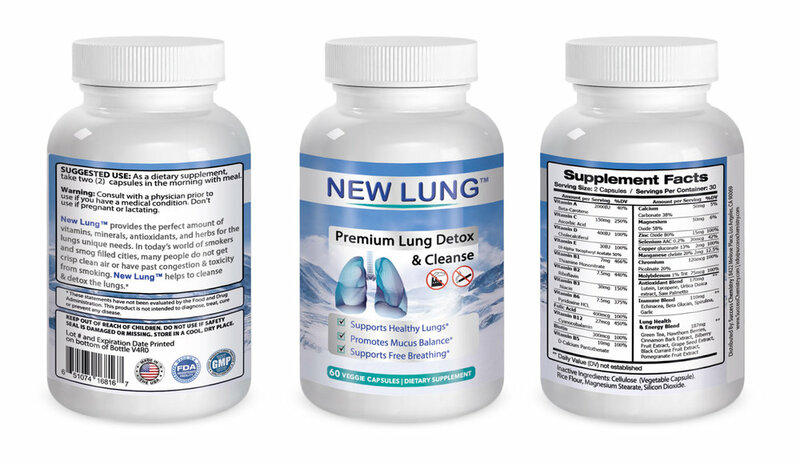 Introducing New Lung this innovative one of a kind supplements is packed with natural herbs designed to promote better lung health. New Lung allows you to look younger and feel your best with our many anti-aging properties and detox formulas. New Lung is an absolute must-have for a healthy living lifestyle. You only have one pair of lungs, with New Lung we will help you make the best of them strong and healthy!